Drones are now invading our market as it becomes a must-have for videographers. Let us assure that you already seen one flying on top of your head while traveling. With condensed technology, these new objects have something to be seduced so that driving a drone is very fun. In addition, it will allow you to take beautiful videos. As the playground of drones is in progress, they turn out to explore the seabed these days. New submarine UAVs or ROVs are emerging from factories regularly. It’s time to wonder about the best underwater drone? 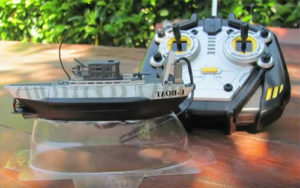 In order to find out, go through this beginner guide to buy top pick underwater drone for sale. 1 Why underwater drones are too fashionable? Why underwater drones are too fashionable? Either in the underwater or sky, this technology will partly meet your insatiable curiosity to fly like a bird or to swim like a fish. Scientists at the National Ocean Service estimate that about 95% of oceans in the world aren’t still explored. So, it is surprising to see an underwater drone that receives the attention of too much general public. Though it is really a wonder to have a look at our underwater realm, you can capture images from giant calamari, discover new species, and hidden treasures too. 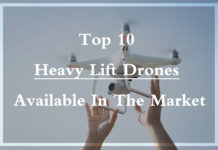 Best of all, these drones are within the reach of your wallet as they are quite affordable nowadays. In case you thought that aerial photography is cool, underwater photography quite literally opens up you a whole new landscape. If you are either a seasoned amateur or even a professional underwater photographer, underwater drones will open up some whole new opportunities. They pose some new challenges and the possibility for getting new opportunities must outweigh this. 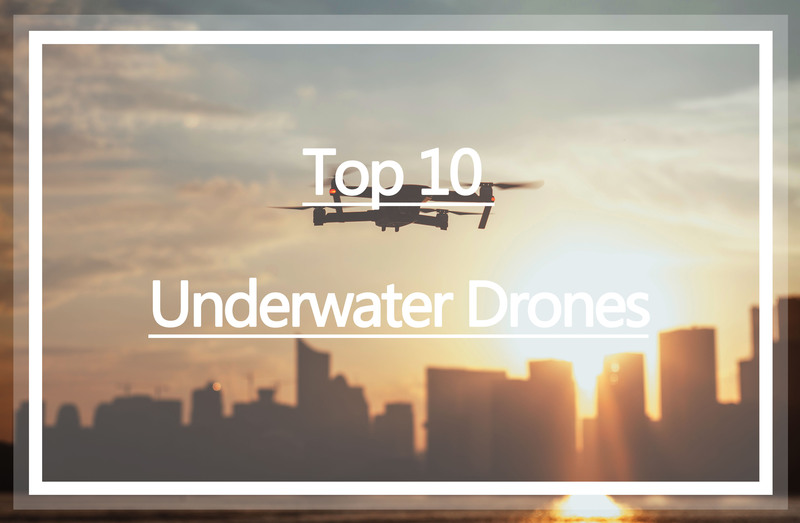 As similar to standard drones, different camera types as well as qualities are available with underwater drones to give different performance in different situations. 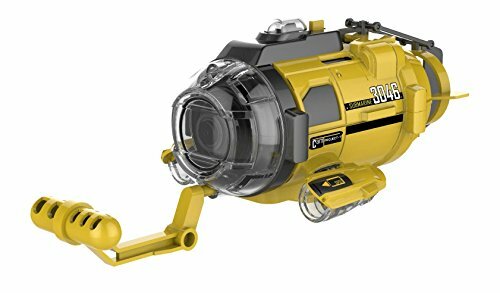 A buying guide to an underwater drone: What should you consider before buying underwater drones? If you are on the way to get an underwater drone, there are certain things that you must lookout for. 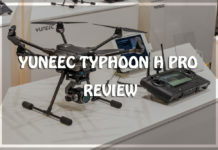 This technology is relatively new to the consumer world and due to this, every drone available on the market has different specifications, thereby giving different advantages and disadvantages related to each other. Maximum depth and battery life is the initial thing you must look for. Consider how you decide to use your drone. Want to use for snorkeling trips? You just need something, which is much easier to control rather than tethered physically to a controller. For a deep scuba diving, it is worth investing in something, which could go much deeper. Certain underwater drones may feature different levels of collision avoidance and autonomous control. This is quite important in case you are planning to dive alone with a drone. It is wise to look at a drone having an autonomous follow mode if you don’t want a dedicated camera operator. By keeping this in mind, you should look at many different options to control your drones. Controllers: Typically, there are three kinds of control inputs drones can make use of. Some will utilize a physical cable so as to tether the control whereas others use a wireless connection. Even, some others still need to be controlled by a direct input or autonomous. Based on your goals, you need a controller over others. Wireless models are probably best as the simplest way to break through without much experience with simple controls and setup to match. These streamlined controls provide full functionality whereas rest of them is easy to use. However, the downside is less reliable, non-stable, and limited in their range. Wire or Wireless: Till date, some underwater drones are not autonomous so that they still need physical attachments. Even, the radio signals won’t work well in the underwater. Other aspects to be considered are sensor apertures, and cleanliness of camera lens. But, wireless underwater drones, on the other hand, will offer you much more possibilities of use. The quality of camera depends on a number of factors, particularly when underwater. In addition to resolution, lenses used in camera are also important in underwater filming. If drones won’t come with their individual built-in cameras, install your GoPro camera. Thus, your sorting of camera will naturally have a considerable effect on the video quality you are taking. The session and fusion cameras don’t match with the enclosures of your underwater drones. The higher frame rate gives the appearance of smooth shots with rapid moving fish. The price: I think that you can’t forget the former airborne drones. Yes, they were considered as toys for kids. 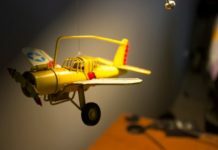 However, in a limited period of time, this technology has seen to be matured to an extent where enthusiasts could now able to fly planes with required license. Just by spending a few hundred dollars, one can obtain a high-capacity flying drones with spare propellers and spare batteries. Autonomy: Different length is proposed by existing models for their battery. Always longer battery gives better performance! Customer Service: Before buying any top pick underwater drone for sale, you should assure a customer service that will handle your product with the utmost care if anything happens. In layman concepts, it is harmless to interchange the terms of UAV and drone. People are seen calling UAVs as drones and vice versa. However, technically, one cannot able to interchange their terminologies and meanings. So, let us learn the differences between underwater drone & drone. This helps you better understand their uses, advantages, and terminologies as well. People often confuse the terms drone and UAV by themselves. A step higher, most people interchange their usage too. Drones are a really broad category as they primarily include machines that can be driven or flown across devoid of human intervention. Either with the help of software or remote pilots, drones can be operated. In contrast, UAV or Unmanned Aerial vehicle is an aircraft that runs with no pilot from time to time. They are specified aerial vehicles. As a broad category, drones include aerial vehicles to submarines and cars. Drones will be a usually used word whereas UVA is a more technical term. All UAVs are possibly drones, yet all drones are not UAVs. UAVs are often under the control of government rather than individuals using for fun and recreational activities. Using the software or a remote control, these UAVs are monitored. Their exclusive feature is that they could be reused. No access is given to common people to operate UAVs as they are run alone by the government authorities. Though missiles can be sorted as drones, they can’t come under the classification of UAVs. As missiles are unmanned aerial systems, they could explode yet can’t be reused. Thus, they are generally referring to UAVs if you hear of military drones. UAS: Missiles or unmanned aerial systems are remotely controlled. Even, they can be operated by using the software. But, it isn’t technically apt to refer as UAV as they can’t be reused. RPA: RPAs are remotely piloted aircraft, which is a familiar type of UAV. They need exclusive technical skills while running. They are monitored only by experts instead of simple tools. Though RPAs are reused, they won’t be referred to as UAVs as all the RPA’s are UAV yet all UAVs are not RPA. Most people make use of drones for fun. The experience of being capable of controlling a flying machine is ahead of any other. The use of the camera at top of a drone is having the ability to film videos. In the majority, drones are utilized for filming underwater scenes and at-large locations. When you talk about drones, you may surprise how it can record aerial views and click pictures. There are different varieties available and each drone caters to different aspects. Most people use drones to fly around their house whereas some filmmakers utilize is to record underwater and aerial scenes. Drones are also used by YouTubers to enhance their filmmaking capabilities. Even, detectives use it to spy on the chosen people as these drones will collect videos or images of that concerned person. You could also get live footage from them. With many different prices and sizes, drones have come up. But, each one gets differ in terms of camera memory, functional performance, and battery use. The terms & functions of an underwater drone and a drone are unclear for certain people who are just now started to understand them. However, if you spend the time to research on drones and underwater drones, you would learn better as well as deeper regarding them. The above-stated differences are quite enough to separate UAVs from drones. On an amateur level, this information is enough to keep you awake! As said earlier, our ocean is still vastly unexplored. This is due to its depths that contain pressure too dangerous for mankind to easily explore. The way you need a underwater drone, you could explore those depths with no window crush depths, risks, and oxygen time limits to drivers. Exploring much tighter spaces is now possible. Make use of thermal night vision and get through the cold void. This lets you enter underwater caverns that seem to be the most harmful dive situation on our Earth. 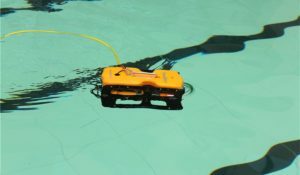 As these rov platforms will be quickly evolving, their depths and dive times are exponentially growing with remote range growth and battery evolution. Use for geothermal explorations, archeological exploration, bioexploration, and liquid or oceanic exploration of moons and nearby planetoids in the future. 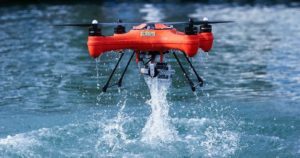 Aquabotix hydroview is the most successful drone on the market. 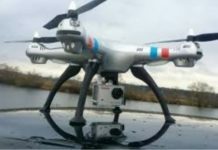 Unlike other UAVs, hydroview doesn’t need wires to move as it is completely autonomous. This means that it would follow you during immersion. Because of a 4K camera, it can be utilized manually underwater through connected bracelets. With a wide range of advanced features, it is not just exceptionally stable whilst filming yet is able to make amazing shots. Though high technology and fishing barely resemble an obvious alliance, this all-new innovation receives interesting results. You will get access to lots of information including water temperature, the presence of fish, and seabed typology since it is equipped with a sonar board and sensors. Its underwater camera is designed to record videos at 4K and images at 12 megapixels. Navy underwater submarine, one of best underwater drones, developed in Norway. 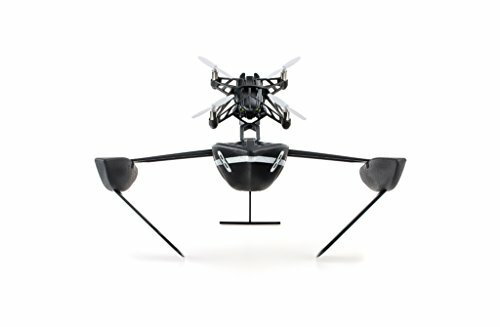 This UAV is simply meant for exploration as it can dive to a maximum of 150 meters deep. 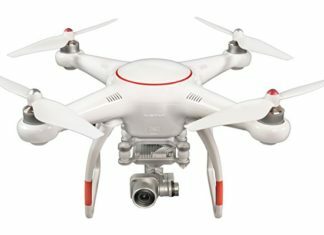 This drone equips with Wi-Fi connectivity in addition to offering battery life for around two hours. 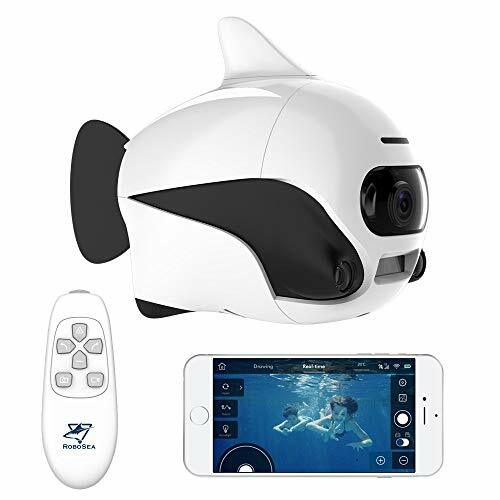 If you use any of your conventional mobile devices like virtual reality glasses, Navy underwater submarine is very simple to control and even record almost all kinds of videos at 1080 pixels. Why buy Navy underwater submarine? 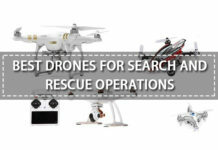 It enables precise control and real-time videos, which have been utilized in rescue tasks and submarine search for years as they are not just toys. Till date, four models of ThorRobotics are released on market for sale. However, the only difference among the four is maximum depth capability. This underwater drone is perfectly suitable for underwater workers and scientist. 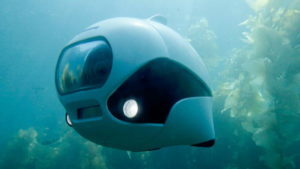 A little underwater robot, Biki is autonomous and piloted with waterproof remote controls. Just like a companion, Biki follows while you dive or also supervise your kids in the pool. Due to two LEDs and a 4K camera, Biki renders good quality videos without much jerk. By far, this model is the cheapest owning to its less advanced performance. However, it doesn’t remain for lack of charm and quality. The smallest ROV available on the market is Silverlit Aqua Submarine and therefore, you can easily carry in your backpack. Easy to use and intuitive, the credit goes to its 5-degree angle and 6 thrusters. Also, this aqua submarine has a unique fastener deployment system, which let you deploy or rewind it as quickly as you can. 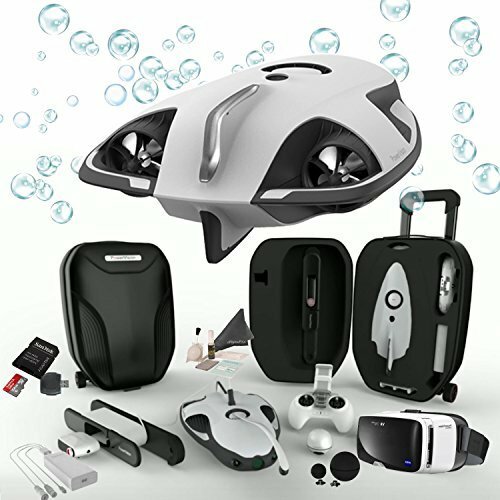 Essentially, this aquatic drone is suitable for taking underwater photography as it equips with a 4K camera of ultra high definition to make photos as well as videos. 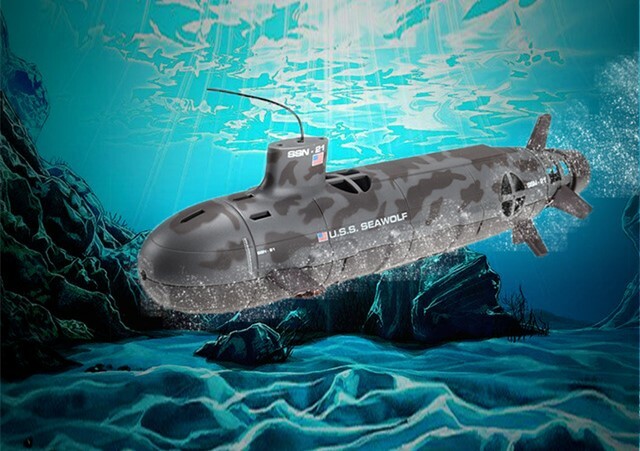 Why buy SilverLit Aqua Submarine? The Kickstarter crowd funding website has created this guided submarine robot. After raising a successful campaign, two engineers have designated this ready-to-use model at an affordable cost. Big communities that are fond of remote control robots would be delighted. The best thing about this underwater drone is, it equips with open-source software that runs on Linux/GNU. Why buy German U-boat Submarine? The company Qysea has created this Braha Aqua drone to provide an authentic cinema quality through its 4K videos. 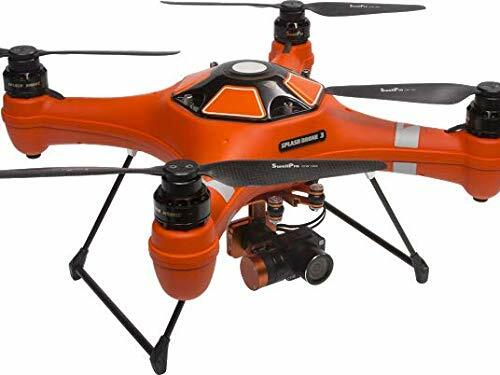 The Braha aqua drone is specialized in taking underwater images of high quality. For 20 megapixels, it has a one-inch CMOS sensor. Additionally, it includes an ultra-wide field and also a powerful 4000-lumen lighting system, which has been uniquely designed & developed for the purpose of deep underwater environments. 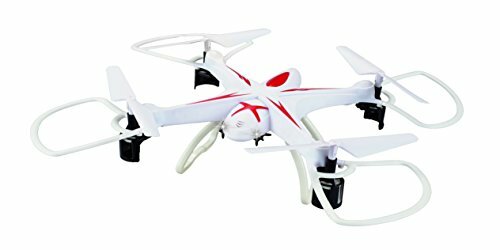 Why buy Braha Aqua Drone? The cheapest underwater drone, Splash Drone-3 is simple yet versatile. A modular thruster attachment system lies at its heart. All of its three thrusters clip would on and off, letting you easily customize or upgrade your device. If you want to design custom thrust modules, proceed and develop them to get an entirely unique experience. Though this mini drone has several features, it isn’t too powerful. 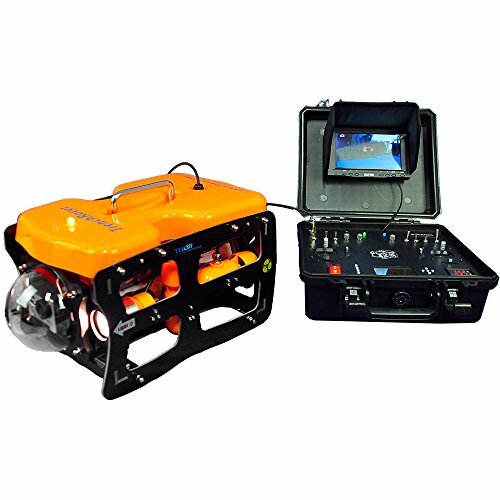 This ROV is best suitable to work in low-medium current areas. It has front & rear facing camera. The commands of cameras, lights, and thrusters are managed using a compact hand-held controller. Why buy Parrot Hydrofoil Minidrone? 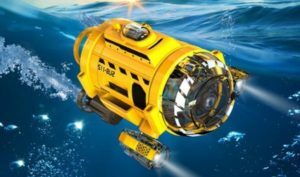 An outstanding underwater drone would be essential for military personnel, treasure hunters, recreational fishers, explorers, and others who would like to explore the vast ocean. 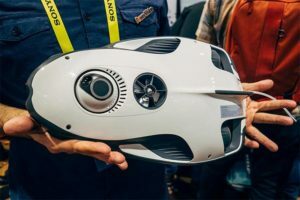 If an underwater drone is best, it has a powerful camera to capture and record videos, handheld controller, and powerful batteries with a reasonable run time. The above-mentioned underwater drones have the qualities, which define the best gadgets in this category.